Energy Training Courses, online, eLearning, classroom based. We know that savings achieved through changing behaviours can equal or exceed savings made through capital investment projects – at a fraction of the cost! 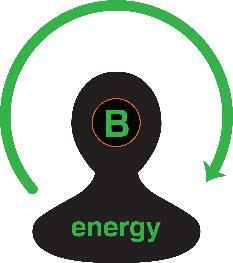 We know how changing behaviour can have a direct and significant impact on saving energy. For example, we worked with one client to deliver a best practice LED lighting project which required a capital investment of £480k. The project was a real success and achieved energy savings representing 7½% pa of total site consumption. We delivered a behaviour management training programme to the same client for £50k and they also achieved similar energy savings of 7½% pa.
Why use JRP Training Services? We have been delivering energy awareness training to organisations large and small for many years with demonstrable energy savings results. Our expertise in identifying energy savings opportunities and delivering improvement projects, combined with our ability to harness and developing client teams’ internal expertise has delivered outstanding, sustainable, practical engineering and operational improvements. We relay our knowledge enthusiastically in simple, easy-to-understand language to inspire and engage the trainee with memorable messages, themes and live examples, leaving knowledge embedded in the organisation. What level of training is right for your staff? JRP Solutions have 6 energy training programmes to suit different organisations’ requirements. Be Energy is a user-friendly, interactive, eLearning programme that will help your employees to understand what energy is, how the use of energy impacts on our environment and how they can use less energy at home and at work to save costs and to create healthier businesses and a healthier planet. Why not watch our short video? The Be Energy programme has six thought provoking and enlightening modules with interactive graphics, questions and multiple-choice quizzes to engage the participant and to ensure key messages are retained. Level 1 is a two hour course suitable for all employees, delivered in a classroom session and is ideal for incorporating into induction programmes for new staff. 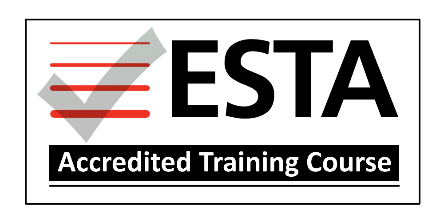 The Level 1 course has been approved by the Energy Managers Association and Energy and Utility Skills (EUSR), a certification body that registers a wide range of training courses. On successful completion of the course trainees will be able to gain a certificate and qualification registered with EUSR. The course objective is to really engage and motivate delegates to take personal responsibility for reducing energy consumption and to change their behaviours. Suitable for all employees, no previous knowledge or experience required. The tutor relates course material to the delegate's own working environment and can expand on relevant points as required. Please download the pdf or watch the video for more details. For further information on the above, or for a quotation, please contact info@jrpsolutions.com or call us on 0800 6127 2567. Level 1+ is a 1/2 day customised course suitable for all employees and is delivered in a classroom session. The course includes information on energy use and how it affects the cost of running your business, the effect it has on our environment and how trainees can play their part in using less energy and using it more efficiently to save costs and reduce impact on the environment. The course content will be tailored to meet the particular needs of an organisation and will include a practical session to raise awareness of the client’s own environment and energy saving opportunities. Level 2 is a 1-day course tailored to the requirements of each organisation. It includes content from the Level 1 course and if required can include the Level 1 certification and qualification. This will be followed by a practical workshop based around an energy audit of the workplace. The trainees will be guided by the trainer to identify energy saving opportunities in their own organisation. The trainees will learn how to qualify, quantify and prioritise opportunities from the energy audit and formulate an Action Plan, which will be available for implementation and further development after completion of the training. A tailored 1-day course delivered as a combination of classroom and practical work session seeking opportunities in the place of training. An Independently recognised qualification in energy awareness by Energy and Utility Skills. Delegates attending this training course will be issued with course notes and a CPD certificate. From £250 per delegate*, with a minimum of 10 delegates. The course structure will be developed to suit the individual requirements of your particular organisation, typically being made up of between 10 and 20 half day sessions, each covering a specific topic. The course content below is for illustrative purposes only. As part of the course, delegates will be guided to develop an Energy Action plan. The course tutor will work with the delegates to deliver their plan over the duration of the course providing advice and guidance based on extensive experience of delivering Action Plans in other organisations. Progress will be monitored and reporting procedures developed. A modular course tailored to meet client-specific requirements following a training needs audit which will determine what is required to meet client objectives. Up to 12 ½ day modules available, with a minimum of 5 modules. Suitable for delegates with an understanding of the organisation’s processes or some technical ability/knowledge. Delegates will work to create an Energy Action Plan which the course tutor will guide delegates to deliver over the duration of the course. Delegates attending this training course will be issued with a course manual and a CPD certificate. From £1320 per delegate*, with a minimum of 5 delegates. JRP Solutions provides high quality training, offering delegates the opportunity to learn from qualified practitioners who are experienced in implementing M&V for industrial organisations and energy services companies. Our 1-day training course enables attendees to gain direct hands-on experience in M&V implementation, not just related to energy, water and waste but also other factors such as accounting for operation and maintenance savings. help parties to create transparent, repeatable performance contract terms and emission trades regarding savings settlement.